Sell Your House Fast in Chattanooga, TN: We Buy Houses in Weeks! Need to sell your house fast in Chattanooga, TN? We buy houses in weeks & pay cash! Ready to sell your house in Chattanooga? Get a cash offer in 24hrs! No fees or commissions to pay. We buy houses as-is, no repairs needed. Need to sell your house fast in Chattanooga? We’ll make a cash offer on your home in 24 hours! Hey there, we’re FreeLight Financial, a real estate investment company serving homeowners in Tennessee. If you need to sell your house fast in Chattanooga, TN, we can help. We buy houses in Chattanooga in cash and close on the sale fast. In fact, we can get you a cash offer in 24 hours after you fill out the form. This gives us enough time to connect with you and do an inspection of your home. It doesn’t matter what condition your home is in, we’ll buy it “as-is” and make the repairs ourselves. So when you work with us, there are no realtor fees or commissions to pay, and we’ll actually pay closing costs for you. In fact, we’ll also take care of the paperwork with the bank, and then work with you to close on your timeline. We work with homeowners that need a fast, cash sale, so they can walk away from their home with money in their pocket. This service isn’t for everyone, but if a realtor can’t help you, or you don’t have the time, money, or desire to make repairs on your home, list it on the market and wait for it to sell, that’s where we come in. Just fill out the form or give us a call, and we’ll set up a time to come see your house. After making the inspection, we’ll be able to give you a solid cash offer on your home, and then work to close on your timeline. We can buy your house from you in just a few weeks, and have you paid. There are a lot of companies who buy homes quickly in Chattanooga – so what makes us any different? Mainly, because we’re cash home buyers who care about treating you with respect, and we’ve got a long track record of working with homeowners facing tough situations. We work to creatively find a win-win scenario for you. So whether you’re facing foreclosure, can’t make mortgage payments, or just want out – we can help. No matter what your situation, we’ll treat you with respect and be here to answer any questions you have about the process. We know that if you’re looking to sell your home fast – you may be in a tough spot. We’re sensitive to that, and we don’t judge anyone for being in a tight spot. The truth is, sometimes bad things happen – and sometimes you just need a way out. So if you’re in a tough spot financially, need a way out, and if a traditional realtor can’t help we can! Get in touch with us today and we’ll come out to look at your home and make you a cash offer in 24 hours. We’re friendly, honest cash home buyers. We’ll get your form and contact you ASAP. We’ll schedule a time to come inspect your home, learn more about your situation, and take photos. If we can find a win-win deal for you, and us, we’ll make you a fair cash-offer. There are no closing costs (ever!) and there won’t be any fees. If you need to sell quick because you’re moving away from the area, if you want to get rid of your property because you don’t want to manage it anymore (or live out of the area), or if you inherited a property you don’t want to deal with – we’re here to help! We can provide client testimonials, and we’re always transparent and honest. Need other Chattanooga neighborhood or city resources? Check out the official city website here, which lists more about living in Chattanooga, neighborhood info, and more. We’ll help you sell your house fast in Chattanooga, from Hixon to Tyner. We buy houses throughout Chattanooga, in all kinds of neighborhoods. If you need to move fast, and need to work with someone to make it happen – talk to us! 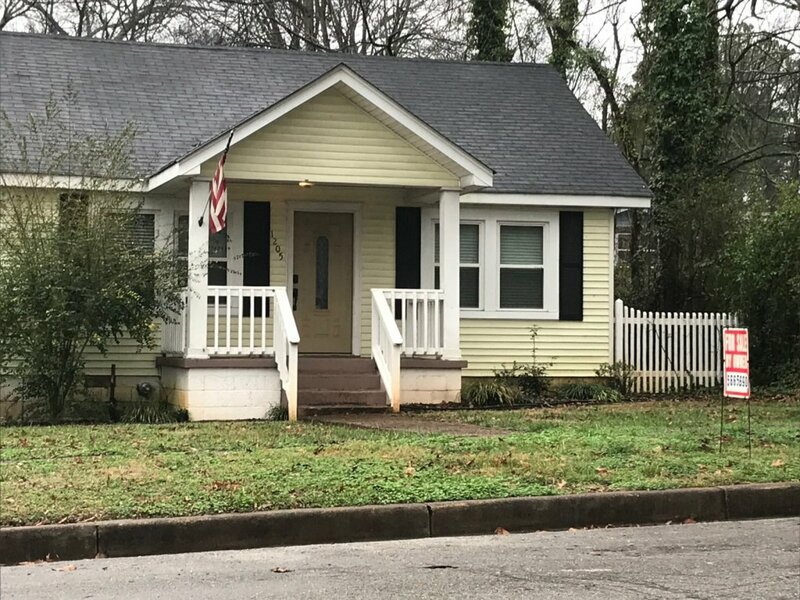 We buy houses in Chattanooga in cash, no matter the condition. We buy houses as is, for cash, no matter what condition your home is in. If it’s in need of repairs, we can take care of that. If you’re looking for cash home buyers in Chattanooga we’d love to inspect your home and make you an offer in 24 hours! We’d love to chat with you and answer any questions you might have. Selling to us vs a Chattanooga realtor. Besides Chattanooga, we buy cash homes in these other areas.